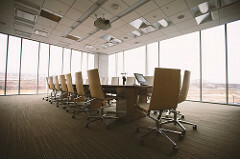 Meetings are often a necessary part of the workday for most managers. The goal of meetings is to get things done, to move projects along, and to increase productivity and collaboration. Many studies, however show that most meetings miss the mark. Here the top 5 reasons meetings may be unproductive, and tips to fix your meeting missteps. You mismanage the time. Are people habitually late to your meetings? It’s tempting to “give people a couple of minutes to arrive,” but waiting for latecomers can sometimes perpetuate tardiness. Perhaps successive meetings are to blame. Avoid scheduling meetings back-to-back. How much time is spent on irrelevant discussion, or non-essential conversation? Be respectful of others’ time, and keep the meeting discussion on-target. Effective meetings start on time, and end on time, or when agenda items have been addressed–whichever comes first. You have unstructured meetings. Meetings give people an opportunity to come together and solve problems, however, when a group of people get together with little or no structure, they’re seldom productive. Without an agenda to guide the discussion, it can be difficult to stay on course. Holding effective meetings take work and planning, including creating and distributing a meeting agenda before the meeting. Pre-meeting communication can help people arrive prepared, and understand the meeting objectives. You allow dominant personalities to hijack the meeting. The loudest person in the room isn’t always the smartest. The person with the most expertise doesn’t always have all the answers. Far too often in meetings, those individuals who are extroverted, tenured, most experienced, etc. can be disruptive. This disruptive behavior by the more dominant personalities can cause other members to stifle their valuable input. It can also easily take meetings off-track. The meeting should have a strong facilitator. The facilitator’s responsibility is to listen, give feedback, manage any conflicts, help ensure order and keep the meeting on-task. Set and enforce the ground rules for communication. Encourage & reward participation from all members, to create more energy and engagement in the meeting. The wrong people are in the meeting. Often managers want employees to feel involved and included, and for that reason many people who aren’t needed in a meeting, wind up on the invite list. Or, the meeting organizer may be unsure of an individual’s potential to contribute meaningfully, and erring on the side of inclusion, invites them to the meeting. When you have too many people in a meeting or the wrong people—who aren’t key contributors or informed enough to assist in the decision-making process, the meeting is likely to run off-course. When people sit in on meetings in which they’re not needed, they’re less engaged. It is inconsiderate of one’s time to request their presence in a meeting that doesn’t necessitate their attendance. People leave the meeting unclear about the result, or action-items. It’s not enough to assume that meeting participants will remember all that was accomplished, decided upon, and any follow up items that resulted from a meeting. All too often, employees leave meetings and are unclear about what the resulting expectations are. This can cause delays in productivity and can potentially carry over into subsequent meetings causing a cycle of unpreparedness and inefficiency. At the end of a meeting, summarize meeting points, get agreement on next steps, be sure everyone understands their action items, and takeaways. Meetings are responsible for dozens of hours, and by some estimates, $37 billion annually, wasted. Every meeting should have clear objectives and a leader who can help drive efficiency and productivity. Meeting facilitation is a fundamental management skill, and with a little effort and planning meetings no longer have to be a drain on your team, or your workday. Ædify, LLC is focused on building better leaders. We provide leadership development training, coaching, and consulting to professionals and businesses alike. Our passion for helping individuals and organizations operate at peak performance is at the heart of our mission. For more information, please contact us at www.aedifyllc.com.